Oh no, something seems to be going wrong with your computer! On Windows, you bring up the task manager using Ctrl + Alt + Delete to confirm your suspicions. Then you use close whichever program is running amok. But now you’re using Linux, and that keyboard shortcut isn’t doing what you expected. Things are different in open source penguin land. But don’t worry, there are many ways to monitor your system and close renegade programs. 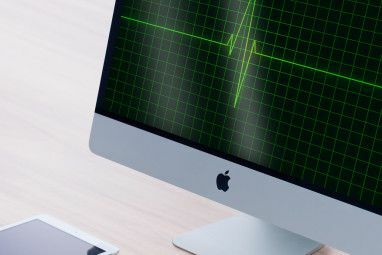 Whether you prefer something like the Windows task manager 5 Powerful Alternatives to the Windows Task Manager 5 Powerful Alternatives to the Windows Task Manager Task Killer would be a better name for the native Windows Task Manager since we only bring it up to kill unresponsive processes. 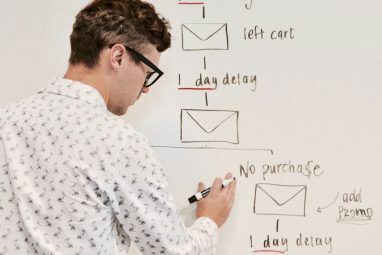 Alternative Task Managers allow you to actually manage your processes. 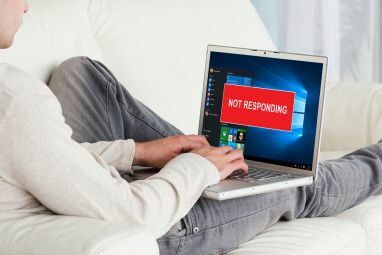 Read More or rather dive straight into the command line 7 Different Ways To Kill Unresponsive Programs in Linux 7 Different Ways To Kill Unresponsive Programs in Linux When a Linux app crashes, you have plenty of ways to close it, even if it's unresponsive. If an app gets stuck, try one of these 7 methods. Read More , there’s an option for you. This software most resembles the Windows task manager. The functionality isn’t a direct match, as the two systems don’t handle tasks in the same way. Nonetheless, you should find the experience familiar. Linux has numerous desktop environments, and many ship with their own option. Here are three of the major ones. GNOME’s default system monitor application keeps the focus on processes, resources, and file systems. The first tab shows you which processes are running, under which user, the ID number, and the strain on your PC. When you select one, an End Process button appears that can force close apps. This doesn’t always work. In those instances, you need to try some of the commands explained later on. The second tab offers a live view of the workload on each of your CPU cores, how much RAM or swap you’re consuming, and the amount of activity on your network. The third tab is for tracking your storage. Here you can see how much data occupies each of your partitions. The KDE System Monitor, also known as KSysGuard, has even fewer tabs. These are Process Table and System Load. The first shows you processes and memory usage. You can close unresponsive ones by right-clicking and selecting End Process. The second tab shows a live view of your CPU load, memory usage, and network activity. It’s almost identical to the Resources tab in the GNOME System Monitor. As you would expect from KDE How to Improve Your Workflow with KDE Dashboard & Widgets How to Improve Your Workflow with KDE Dashboard & Widgets The KDE dashboard features a collection of widgets that you can use to improve your workflow. Turn your Linux desktop into a productivity behemoth with these tips and tricks. Read More , you can customize aspects to suit your needs. There’s the option to create new tabs showing information such as partition usage and log files. The lightweight XFCE desktop’s XFCE: Your Lightweight, Speedy, Fully-Fledged Linux Desktop XFCE: Your Lightweight, Speedy, Fully-Fledged Linux Desktop As far as Linux goes, customization is king. Not only that, but the customization options are so great it might make your head spin. I have previously mentioned the differences between the major desktop environments... Read More task manager does away with the standard tabbed interface. Instead you get a graphical view of CPU and memory load with a list of processes underneath. Unlike the default GNOME and KDE applications, you can deal with slow processes in multiple ways. Right click and select Stop, Terminate, or Kill. Under Linux, Ctrl + Alt + Delete usually doesn’t do what you may expect it to. Pressing those hotkeys bring up the log out menu, from which you can restart or power down. It’s an alternative to pressing the power key. Changing this is simple. Under GNOME, for example, go to Settings > Keyboard. Select the Shortcuts tab. Then look for Custom Shortcuts in the sidebar and click the + button. Enter a name for the shortcut and the command used to launch your task manager. For the GNOME System Monitor, type gnome-system-monitor. After you’re done, you can select this item in the list of custom shortcuts. Then enter a keyboard binding by holding down the desired keys. In this case, those would be ctrl + alt + delete. A notification will ask if you want to replace the previous function assigned to these keys. Simply confirm that you do. What you need to do isn’t the same across all GNOME-based distributions Gnome-Based Desktop Environments Explained: MATE vs. Gnome Shell vs. Unity vs. Cinnamon Gnome-Based Desktop Environments Explained: MATE vs. Gnome Shell vs. Unity vs. Cinnamon Ever since Gnome went ahead with their Gnome Shell idea, the Linux community has been at a frenzy to find a new desktop environment that is right for them. A majority of users used Gnome... Read More . But for most of the major Linux desktop environments It's Your Choice: The Top 10 Linux Desktop Environments It's Your Choice: The Top 10 Linux Desktop Environments From Gnome to KDE, from MATE to Unity, there's a lot of choice out there. Where should you start? Overwhelmed? Start here. Read More , the process is similar. For more power, you want to dive into the command line. Here you can pull up extra information and expand your options. Below are some of the essential commands. ps stands for process status. Use this to show a list of processes running under the current user. You will see a name and process identification number (PID) that you can use when issuing other commands. kill is one such command. Follow this up with a PID to terminate that process. If this fails, add the signal 9 to increase your chances of success. By default, kill uses signal 15, named SIGTERM. Signal 9 is SIGKILL. The latter only fails when a process is making a request to the kernel. In such a circumstance, it will end after making the system call. Use kill -l for the full list of signals. The killall command lets you end a process by name. If Firefox freezes up, you can use the following example to force close the application. Sometimes you don’t know the actual name of an application. In that case, you can take a more graphical approach. Type xkill into the terminal to turn the cursor into an X. Then click on the window that is not responsive and watch it disappear. The top command shows which tasks are putting the most strain on your CPU. You can sort the list by CPU or RAM usage, how long the program has been running, and other factors. Instead of viewing this information live, you can take a snapshot. vmstat does just that. You get an instant view of currently running processes and how much memory they’re using. This command shows how much memory is available. Columns show free and used physical and swap memory. Plus you can see buffers used by kernel. Some of the information you get from the above commands don’t make sense without context. How many CPUs does your computer have? What architecture type are you using? Use lscpu to see this information presented in a way that makes sense. I hope so. That’s what these programs and commands are for, putting you in control of your system. A computer’s job is to help you get things done, and when software freezes, it isn’t doing its job. 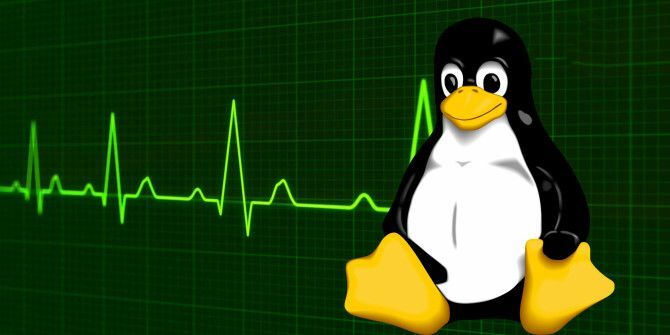 Linux has a reputation for being a stable operating system, but that doesn’t mean every application is rock solid. What advice do you have for new users dealing with unresponsive applications? What’s your favorite way to look up system information? What’s your routine for keeping your computer in optimal shape? Chime in! We would love to hear your thoughts. pkill -f "process name or part of start command" is the best kill command. It searches (like grep) inside the commands which where used to start the processes. So you don't need to know the exact process name or even pid. HTOP is a great one.